While every effort is made for nonsurgical intervention, neurosurgery can often be the answer to saving or improving a child’s life. Our board-certified neurosurgeons bring the highest levels of expertise and experience to even the most complex disorders of the brain, spine and central and peripheral nervous systems. 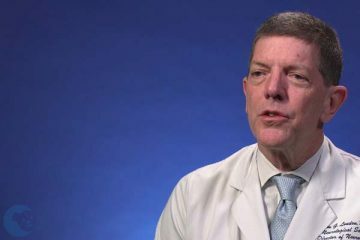 We are pioneers in some of the most innovative neurosurgery procedures, including minimally invasive ablation of intracranial tumors and epileptogenic lesions, temporal sclerosis and radiation necrosis; endoscopic removal of brain tumors and cysts; cranial remodeling; and treatments for traumatic brain injuries. We were the first in Orange County to perform an endoscopic third ventriculostomy and among the first to offer unique treatments such as baclofen pumps for spasticity and vagus nerve stimulation for seizures. When medication isn’t enough, a number of different surgical options may help alleviate a child’s seizures. The most common procedure removes the part of the brain that is causing seizures or disconnects certain nerve pathways that spread the seizure impulses. We were among the first to perform a less invasive surgical option that places a vagus nerve stimulation device in a patient’s chest – much like a pacemaker – and sends pulses that minimize seizures. Learn more about epilepsy surgery. Cerebral palsy may cause a child to have muscle weakness, poor motor control, shaking, or stiffness of the arms or legs. 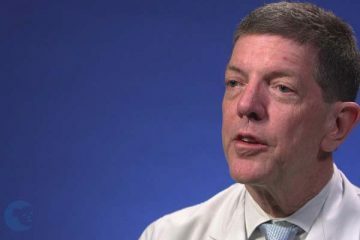 Our neurosurgeons have been at the forefront of treating these symptoms, and we were the first in the region to implant an intrathecal pump that delivers low-dose medication to the spinal cord and brain, causing the muscles to relax. Other surgical options include selective and non-selective dorsal rhizotomy, which involves cutting sensory nerve fibers in the spinal cord to balance out the messages of flexibility and stiffness that are sent to the muscles. Learn more about our treatments for spasticity. We are the region’s leader in treating complex multicystic hydrocephalus, a condition that causes too much cerebrospinal fluid in parts of the brain. 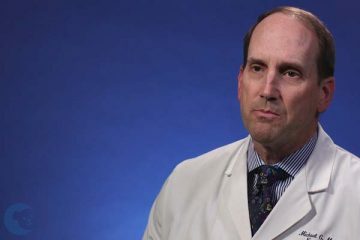 Our neurosurgeons have pioneered two unique treatments: a valve that is implanted in the brain and drains fluid, and an endoscopic third ventriculostomy, which involves making a tiny hole in the wall of the third ventricle, allowing fluid to move out of the blocked ventricle and eliminating the need for a valve. Learn more about hydropcephalus. Our neurosurgeons work closely with neurologists and neuro-oncologists to determine the most effective treatment plan for brain and spine tumors, including gliomas, medulloblastomas, meningiomas and pituitary gland tumors, which can often be removed endoscopically. Diagnosis and removal of a tumor are often done during the same procedure to increase the chances for a cure. 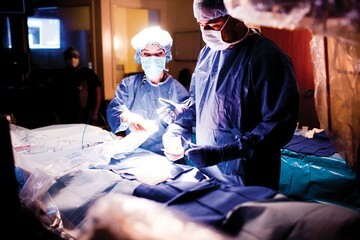 Surgery may be used in combination with chemotherapy and radiation therapy to eliminate a tumor. Learn more about our Neuro-oncology Program. CHOC Children’s offers the only pediatric Brachial Plexus Program in Orange County, providing expert treatment for babies and children who have damage to the brachial plexus and peripheral nerves. Our multidisciplinary program offers families an individualized physical and occupational therapy program and the latest techniques in surgery and microsurgery. Learn more about the Brachial Plexus Program. Surgery is the only option for long-term treatment of Moyamoya disease, which is a rare condition causing a narrowing of the arteries at the base of the brain and preventing blood flow to the brain. Surgery at the microvascular level requires extreme precision and expertise. Our neurosurgeons are highly experienced in treating Moyamoya disease with brain revascularization, which involves creating new vascular pathways that reroute blood flow to the brain from other areas. At birth, a baby’s skull bones are still developing and fusing together, a process that takes about a year. Bones that fuse too early or too late can result in a craniofacial syndrome, which can damage the brain. Surgery can correct the malformations by removing, replacing or recontouring parts of the skull. We specialize in distraction osteogenesis, a method of moving two parts of a bone slowly so that new bone fills in the gap, as well as an endoscopic procedure that corrects a craniofacial problem using surgical instruments through the nasal passage, rather than opening a patient’s skull. Learn more about our treatments for craniosynostosis. Birth defects of the head and spine can include: encephaloceles, when a baby is born with a part of his or her brain protruding from the skull; a Chiari malformation, when brain tissue extends into the spinal canal; syringomyelia, when a cyst or hole forms in the spinal cord; spina bifida, when the spinal bones don’t close properly; and a tethered spinal cord, when the spinal cord becomes attached to the spinal column rather than floating freely. Our neurosurgeons are adept at a number of surgical procedures to repair and improve a host of congenital birth defects, including the rarest cases. Cysts in the brain, such as a dermoid or arachnoid cyst, are tumor-like spheres filled with liquid. Surgery can be used to remove all or part of a cyst so that vital functions of the brain are not impaired. We specialize in an endoscopic procedure that corrects the problem using surgical instruments through the nasal passage, rather than opening a patient’s skull. A traumatic injury to the head or spine requires immediate care and may require a surgical procedure such as surgical decompression, craniotomy and surgical drainage, surgical debridement and evacuation, surgical elevation and decompressive craniotomy with duraplasty. To his parents' surprise, Ian's sleepwalking and night terrors were actually seizures. When medications didn't work, doctors turned to a new, minimally invasive surgery. When Miranda was 10, she woke up screaming in the middle of the night from unbearable head pain. Scans revealed she had an arteriovenous malformation (AVM) and needed brain surgery. Two-year-old Aliyah was fighting what her family thought was a mild stomach virus. Within 24 hours, she was undergoing brain surgery at CHOC. Our neurosurgery specialists are available for appointments and referrals at the following location. Dr. Michael Muhonen discusses the symptoms and minimally invasive treatments of hydrocephalus, which is fluid buildup on the brain. 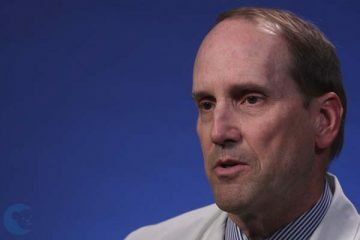 Dr. William Loudon explains a minimally invasive surgery used to treat mild craniosynostosis in children as well as treatment for complex craniosynostosis. Dr. William Loudon discusses the symptoms of brain tumors in children and the innovative and minimally invasive ways CHOC is treating them.